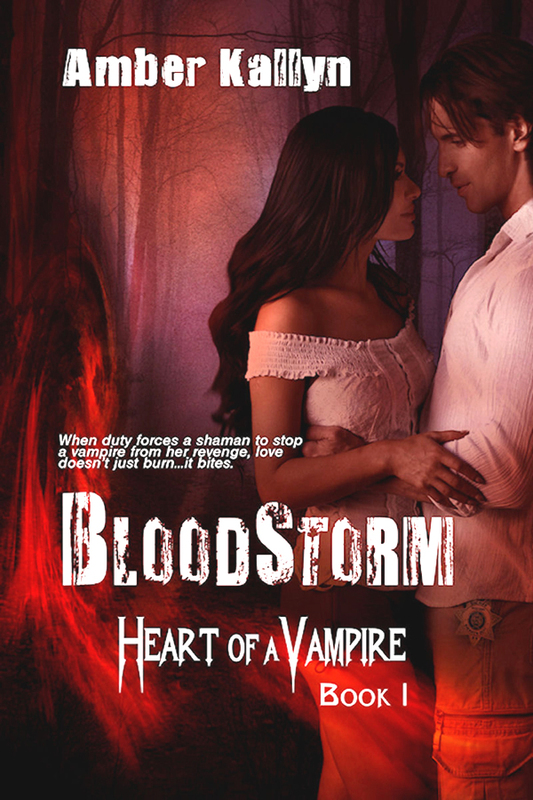 to everyone for your support during my Bloodstorm release & blog tour. Wow, it was amazing. My final prizes are for the blog hostess with the most comments, and the blog commenter who left the most comments. Urban Girl Reader won the $20 hostess prize, WOOT!! Now, for the $20 most commenter winner. Here’s where it got complicated. You see, remember the ‘over 20 blog stops’? There were 2 lovely ladies who hit nearly every single post. I couldn’t choose between them (using random.org). Sarah & Tina, you’ll get the certificates through email. Thank you all for your support. Two weeks after release day, Bloodstorm hit Amazon Bestseller lists, Woot! 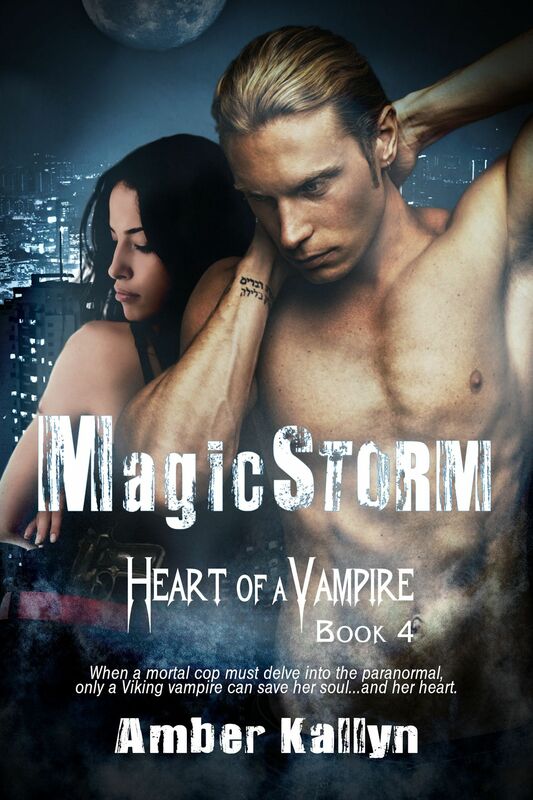 Here’s my Q4U: What do you like the best about Vampires? I’ll be checking in all weekend, today through Sunday night. Let’s talk about vampires and what we like most about them. Make sure to come back each day, because more news & awesome prizes will be announced each day! In addition to the above prizes, I have 20 mini-stakes to give away today and tomorrow. They’re hand made, hand engraved, custom keychain Vampire stakes, LOL. They were so cute, I couldn’t resist. Each stake measures about 2 inches long. 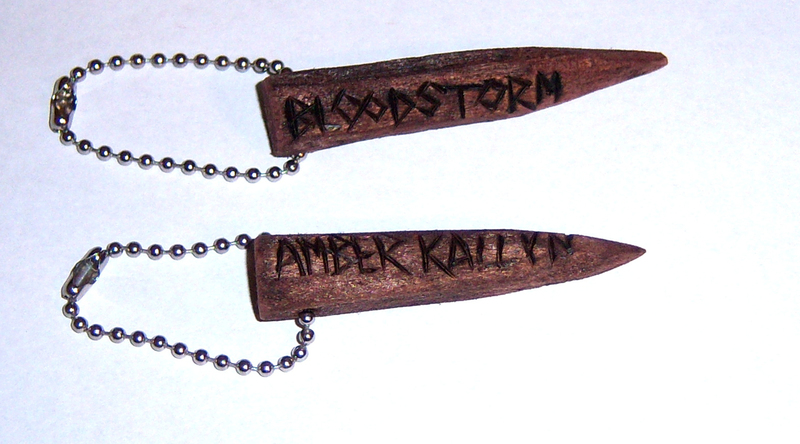 As a gift, I will send these in mini-swag packs, which includes a custom stake key chain and an autographed cover of the book to the first 20 people who email me at amberkallyn (at) gmail (dot) com with an amazon reciept for purchasing Bloodstorm. More Prizes will be announced Sunday, so check back, and join in the discussion. I’ve never done this before, but I’m willing to try, LOL. I love vampire stories. So share what you love best about vamps, and we can debate it, LOL. Love ya’ll very much. Thanks for stopping by and if you participate, thanks so many bunches I can’t even count them all. Love #Vampires? Bloodstorm Cover Reveal and Release Day Fun and Swag! For those who know me, you may have heard me once upon a time say that I would never write vampires. Well, I love vampires. Heck, I grew up with Buffy the Vampire Slayer as my hero. But there are so many books about vampires out there already, I was of the mind that I didn’t have anything new to add. Then Niki invaded my muse and refused to let go. Needless to say, I’ll never say never again, LOL. I really enjoyed spending time with these characters. So much so, that their friends decided to come hang out and play. I now have a series in mind. My official Release Day is Friday, April 13th. Yes, I chose that day on purpose, LOL. It’s a lucky number & day for me. I will be having a party on this blog with a ton of giveaways and blog tour announcements, so check back to see me then. I have 30 to give away on release day. My Q4U: What would you be willling to do to win one?